In this two-part workshop, participants will receive all the tools, resources, and instruction necessary to shoot, develop, and screen their own 16mm film. LISTEN: In the first session, participants will get a hands-on experience with celluloid film, learning how to use a Bolex (the independent filmmaker's box of tricks) and a light metre while shooting their own 3 minutes B+W film. WITNESS: In the second session, taking place on the last day of the conference, each participant will be guided step-by-step through the full black and white film development process in negative and reversal. Participants will then hand-process their own film as a reversal image, learning some experimental darkroom tricks along the way including rayograms, monoflex and some chemical manipulations. Films will be dried, spliced together and projected for an audience of conference participants. Part 1: In the first part of this workshop Métis game designer Meagan Byrne will discuss games and interactive media as a growing indigenous art form. Participants will learn about various ways interactivity can be incorporated into their current practices and how they can use a new wave of accessible game engines to create new forms of art. Participants will also have a chance to make a short game followed by a round discussion. 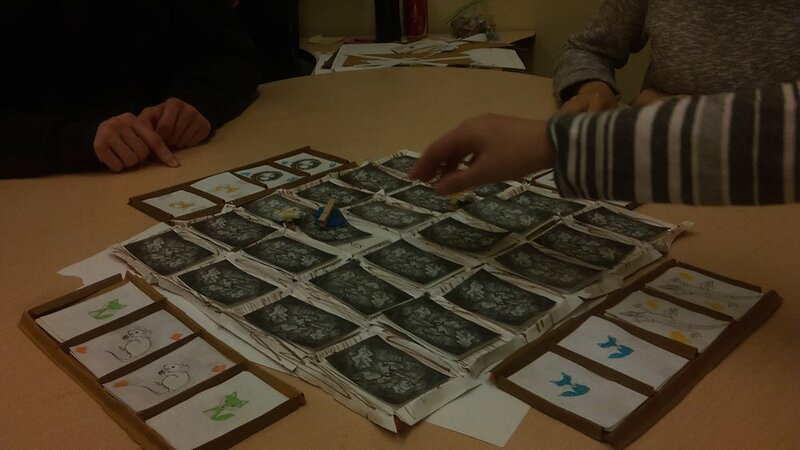 Part 2: In the second part of this workshop Métis game designer Meagan Byrne will lead participants as they get hands-on experience working in groups to create a prototype of a physical game. Participants will learn about the importance of sharing and iteration in the process of creating interactive works. This will be followed by a short round discussion about the future of interactive-arts.